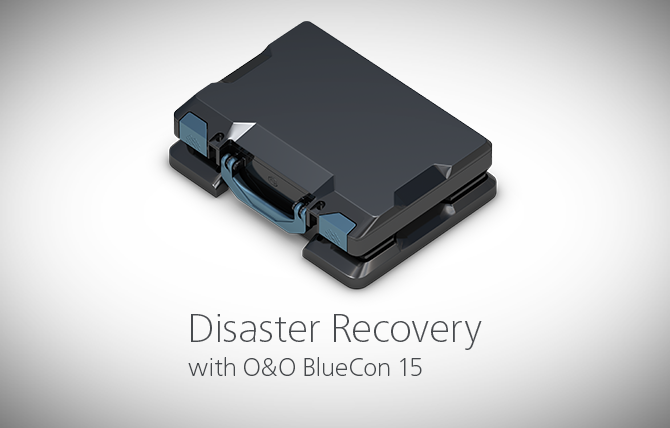 O&O BlueCon 15 is a high-performance collection of comprehensive tools to get damaged Windows systems up and running again with no new installation required. If a server stops or only starts with errors, then every minute of outage costs money. In such a situation, a solution must be found within minutes. Often, administrators simply switch to another system or restore a backup, if one is available. But what if these options are not available? It means that a whole new installation is required, with substantial down time. It is exactly here where O&O BlueCon 15 comes into play: using a standalone Windows system, which can be run from a USB stick or CD, the installed operating system is bypassed and can be analyzed and repaired using the integrated tools in O&O BlueCon. Start straight from boot medium! From deactivating faulty drivers to resetting user passwords and reconstructing deleted data, O&O BlueCon belongs to the standard tool box of any IT administrator. Various O&O products are included in the current version which can, for example, recover lost data (O&O DiskRecovery), securely delete confidential data (O&O SafeErase) or make a forensic image of a system (O&O DiskImage, available in the Plus Edition). The latest version supports Windows 10, Windows Server 2016, enables a network boot thanks to compatibility with Windows Deployment Services (PXE) and scripting over Windows 10 networks. With the newest version from O&O BlueCon, BitLocker drives can be unlocked and the data accessed. After entering the BitLocker password, when booting through O&O BlueCon the encrypted drives can then be accessed. Danke, aber mit großer Zurückhaltung werden die Versionsstände, mit denen das Produkt ausgeliefert oder upgedatet wird, angegeben. Sind die Updates auf Stand der Einzelprodukte(Versionen)? Ich hoffe, dass wir Ihnen damit weiterhelfen konnten!